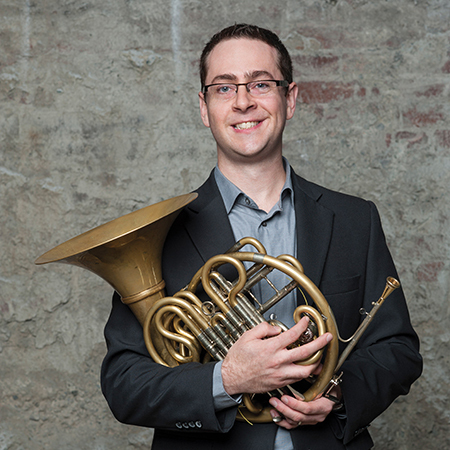 David Haskins* is the Associate Principal Horn of the Vancouver Symphony Orchestra, a position he has held since 2008. Before coming to Vancouver, he was Principal Horn of the Windsor Symphony Orchestra and an active freelancer in the Toronto area. In addition, he has performed in Japan as Principal/Third Horn of the Hiroshima Symphony Orchestra for their 2002-2003 season. David has served as instructor of horn at the University of Windsor and the Community School at the Royal Conservatory of Music in Toronto. He has also been busy as a clinician throughout Canada and Japan. An alumnus of the National Youth Orchestra of Canada, David holds degrees in performance from the University of Toronto and McGill University, and has studied with Joan Watson, Christopher Gongos and John Zirbel. He is also an Associate of the Royal Conservatory at Toronto (ARCT), for which he earned a Gold Medal in the discipline of Orchestral Instruments. Originally from North Bay, Ontario, David currently resides in Kitsilano with his wife Eve and their daughter Daphne.